Home Uncategories 阿公 is a Superman!! If you have been following my Instagram posts, you would have known that the past 4 days has been terrible for my family and I. 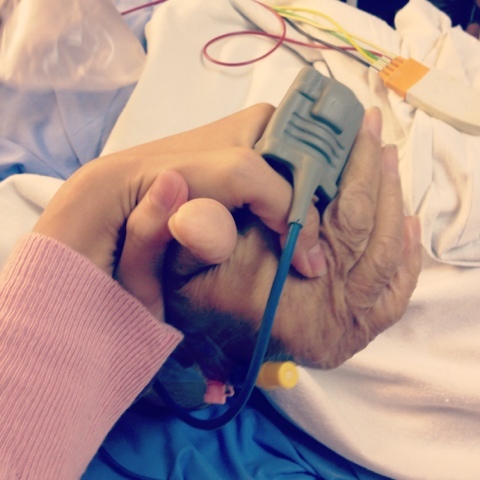 阿公 (Grandfather) complained of heart pains on Friday afternoon and was admitted to hospital. Scans showed that 阿公 had a tear in his aorta. Aorta is the largest artery in the human body, originating from the left ventricle of the heart and extending down to the abdomen, where it bifurcates into two smaller arteries. The aorta distributes oxygenated blood to all parts of the body through the system circulation. Wouldn't go into details but his aorta was torn extensively which led to implications to his other organs. An operation on a 74 year-old man is not going to be easy, considering the severity of the tear. The family was in a loss. It all started with heart pains and there we were at the hospital, with such a difficult crossroad. We decided that we didn't want 阿公 to be in pain and grieve and so we came to a conclusion and decided against the operation. 阿公 also asked Principal Doctor, Dr. Lim on the chances and Dr. Lim pondered long and said it's tough. 阿公 later told us he doesn't want to do the operation since Dr. Lim isn't optimistic about it. He also said he just wants 1-2 more years to take care of 阿妈. What 阿公 didn't know was that the success of an operation was a mere 5%. Without surgery, every minute is 1% closer to passing on. Which meant 阿公 would pass on within the next 7 days. 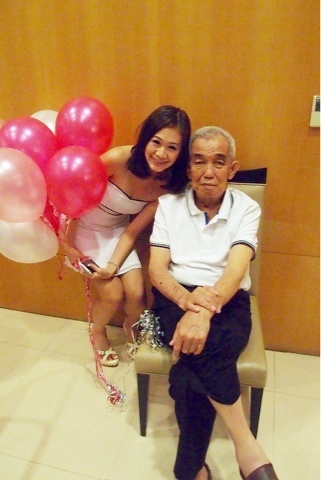 Dr. Lim was in a similar situation with his Father, he said "How to tell a dying man that a surgery is hopeless." Dr. Lim sympathizes with us. So, we took him home the very next morning. 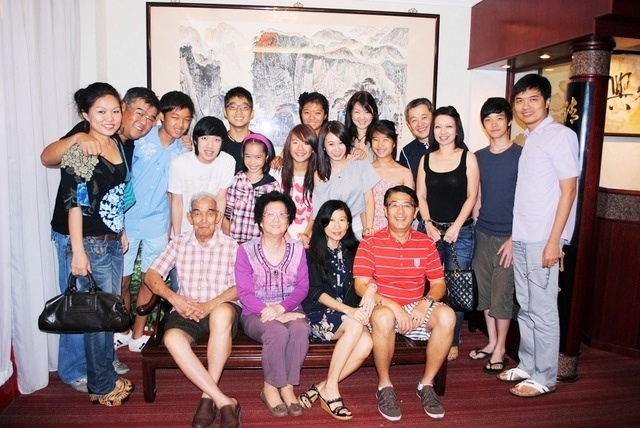 We spent the whole of Saturday at 阿公's, heavy-hearted yet plastered a happy face in front of 阿公. We had an hearty lunch together. 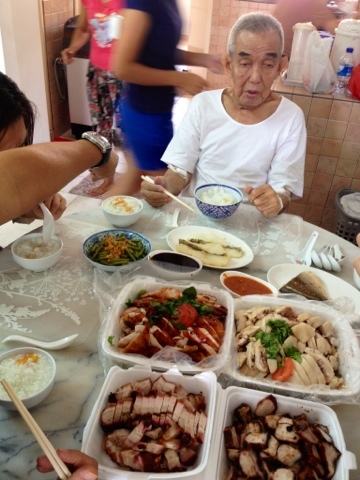 Shu Shu (Uncle) got 阿公's favorite Barbecue meats and chicken but 阿公's appetite wasn't too good so he only had porridge and fish. Relatives came to visit, 阿公 was really happy, he loves the attention and care. 阿公's body was failing, he was falling in and out of sleep throughout the Saturday. 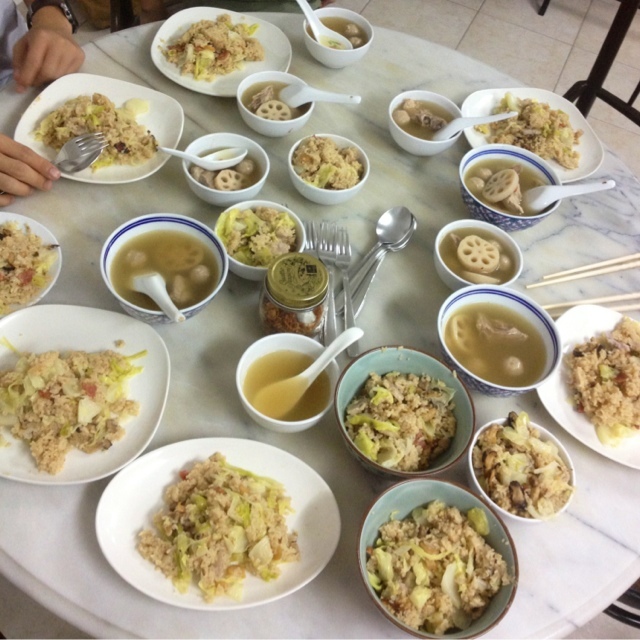 阿妈 made us Yam rice for dinner, also 阿公's favorite but he didn't have an appetite too. He only had a small bowl of Lotus root soup. It was heart-wrenching. Zonia and I stayed over just in case. Of course, we couldn't sleep well. We woke up several times to check on 阿公. On Sunday morning, 阿公 woke and went to bathe with the help of the domestic helper. After his bath, 阿公 suddenly turned pale and was unresponsive to us. 阿妈 and Zonia panicked and were crying loudly. I was in shock but calm. I called the ambulance, I called the 3 other families. I also asked the helper to take the medicine prescribed by Dr. Lim and pushed it into 阿公's mouth. After which, we checked 阿公's BP, and it was far too low. Within a few minutes of taking the pill, 阿公 regain consciousness and spoke. We started asking him questions and he said that he's breathless and didn't want to talk. Thankfully, the ambulance was quick and sent 阿公 over to Tan Tock Seng hospital. Ambulances are to send patients to the nearest hospital even though 阿公's doctor is at SGH. The A&E doctor did not know that we did not tell 阿公 of his true condition and actually told him. We were really upset but understood that it's the duty of a doctor to tell the patient the crystal truth. The doctor also told us that 阿公 said he wants to do the operation. 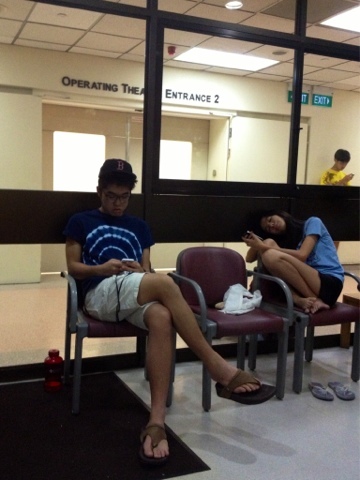 We took turns to see 阿公 at A&E and 阿公 was persistent that he wanted the operation. 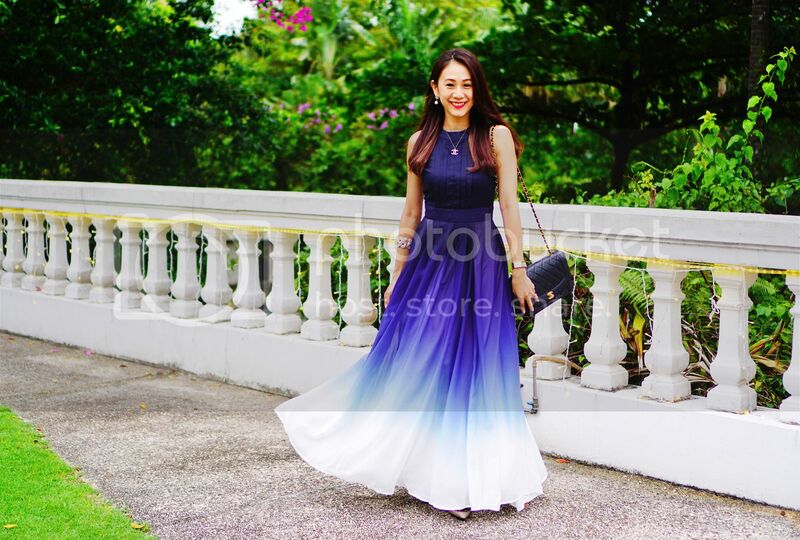 He said "如果动手术会有5%机会，没有做就一定会死" (If I do the operation, I will have 5% chance, if I don't, I will die for sure). 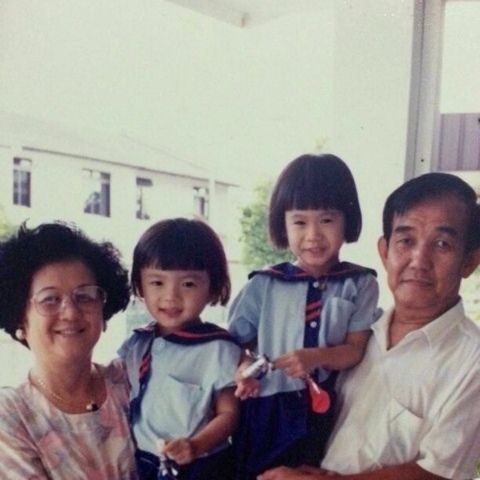 I couldn't control my tears and only said "阿公我们爱你" (Grandpa, we love you). 阿公 replied "我也爱你们" (I also love you all). Doctors can deny surgery if they are not confident. Dr. Lim though pessimistic of the operation was willing to take up the operation. He actually talked to us and 阿公 for half an hour to make sure we understood the severity of this operation. He told 阿公 that even if the operation is a success, he may suffer from a stroke and rely on kidney dialysis. 阿公 persisted. 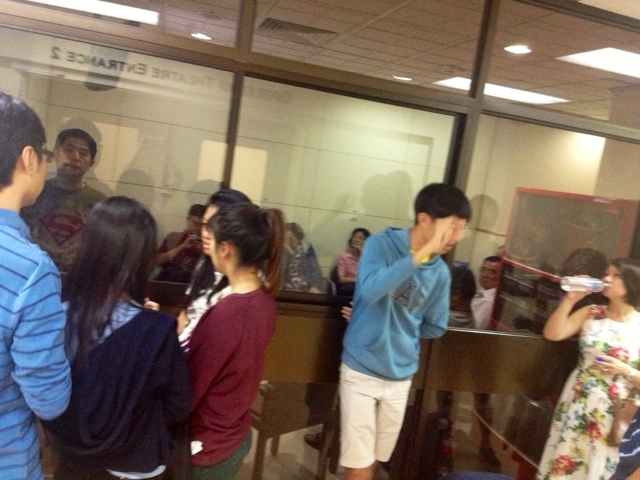 We were given 5 minutes to see 阿公 before he was wheeled into the operating theatre. 阿公 was at all smiles, he was brave, he told us to take care of 阿妈. He still was that joker when we were in tears. We should be ashamed of ourselves! We walked with him till 阿公 disappeared behind the operating theatre doors. The surgery was 7 hours and we were praying that we won't see 阿公 till 7 hours was up! We didn't leave sight of the door 阿公 went in by. The whole waiting room was filled with our people hahaha! And yes, At SGH, you could ask for the surgery progress but none of us had the guts too. Xiao Shu (Small uncle) plucked his courage and asked for an update at the 7th hour. The nurses said doctor is stitching up already and the surgery will be done in about an hour's time. Picture of all 9 grandchildren sitting outside the operating theatre! We were SO SO OVERJOYED!! It was the first time I saw a smile on 阿妈's face. 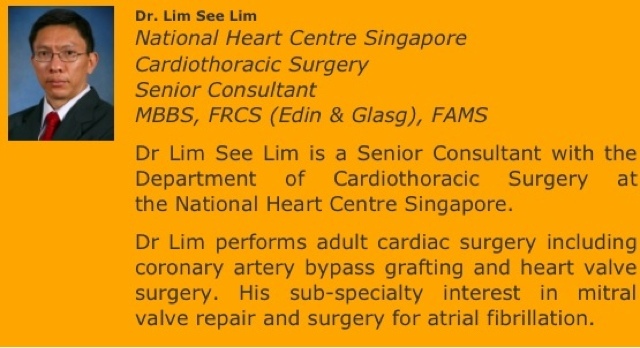 Dr. Lim is a really professional doctor with a big heart. After the operation, he gathered us for an update on the surgery- lecture style! We shocked the ICU team with 45 family members at ICU. All went well but the next 48 hours would be crucial. 阿公 was still under sedation so we went home. We went back on Monday morning after breakfast with 阿妈 and Dr. Lim gave us an update on 阿公 progression. In a nutshell, all's well and better than expected. Even Dr. Lim had to say it must be someone above watching over 阿公 because 1) The surgery only had 5% success rate but 阿公 braved it. 2) After surgery complications, 阿公 sailed it! A big thank you Dr. Lim See Lim and team at Singapore General Hospital. We can't thank you enough. To the A&E doctor at TTSH, thank you for telling 阿公 the painful truth that none of us beared to. 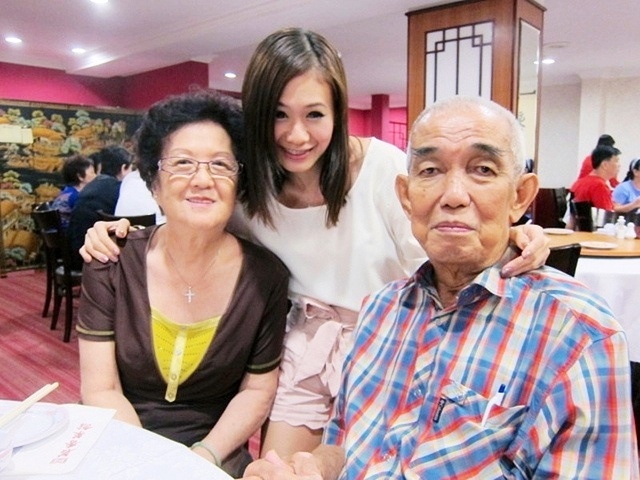 Thank you to the doctor and nurses at EJ Family Clinic & Surgery at my grandparents' place at Toa Payoh Lorong 1. They attended to 阿公 till the ambulance arrived. 阿公 was not responding and after the doctor gave him a pill, he regained consciousness. Last but not least, I also want to thank my dear friends, Jing, En, Mabs, Christine, Sheila, Wendy, Melvin and Eugene (I hope I didn't miss out anyone else!!) 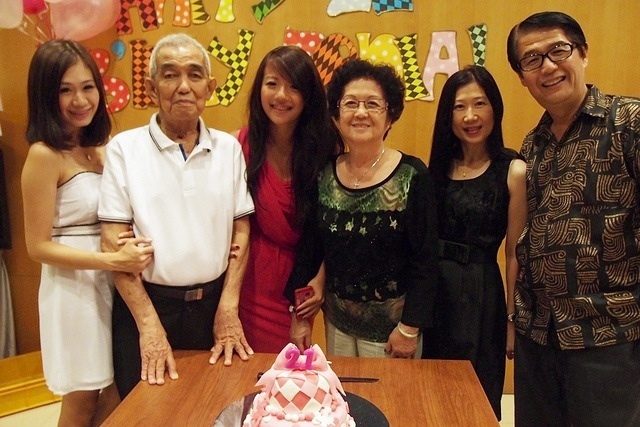 who were there for me, comforting me and praying for my 阿公. My cousin, Reiko's friend actually went to 8 temples to pray for 阿公 too!! And of course, friends and relatives of my family who prayed for us. Thank you! We are only complete at 19. My 阿公 is a Superman!!!! Be strong! 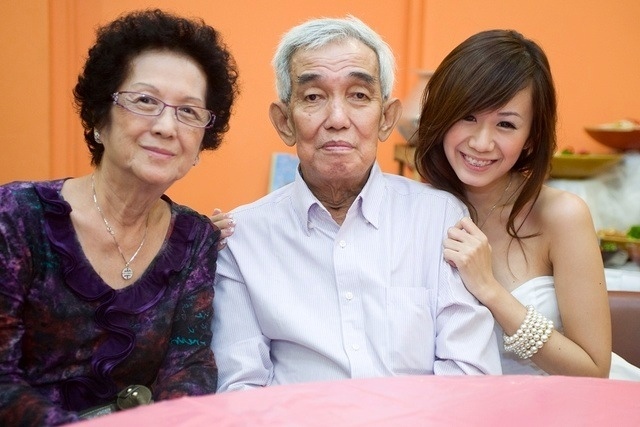 Spend more time with your grandparents when they are still around, so that you won't have any regrets. I've lost 2 of my grandparents this year and it was heart-pain. Cherish the time with them! 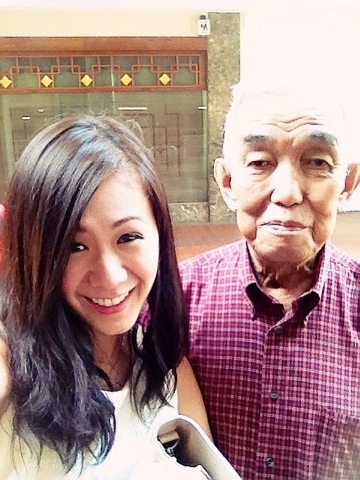 I'm so so so proud of your Ah gong! So brave! double Thumbs up for him! :D 真心祝他身体健康，天天快乐!